On the Island the machinations of the mysterious 'Man in Black' are approaching their climax, as his goals are revealed to be more than just merely escaping his prison. In the 'Sideverse' Desmond continues his attempts to gather the various castaways together and reveal to them the truth of their world. 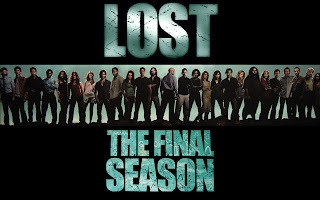 After six seasons and 120 episodes, Lost finally reaches its conclusion, a conclusion which, it is fair to say, has been more controversial than I think anyone was expecting (even moreso than the bitterly divisive Battlestar Galactica finale of a year earlier). Before the finale, however, there's the last run of episodes to get through. The Last Recruit and The Candidate are pretty heavily serialised, 'getting all the pieces together' episodes with lots of characters moving around and talking about the plot, both in the primary universe and the Sideverse. There's some great moments, but it's the end of The Candidate that proves both shocking and powerful, with a surprising number of major character fatalities, the Man in Black's true colours fully revealed and a real sense of despair descending on the characters and the story. There's some elements of contrivance (at least one character died for no good reason when they had an excellent reason to live), but overall it works. Then there's Beyond the Sea, the much-touted backstory of the Jacob and the Man in Black. Technically, this should have been a triumph, a revelatory episode packed with surprising reveals about the series' deepest mysteries. Unfortunately, it doesn't really do anything of the sort. The explanations given for some of the mysteries, like the origin of the frozen donkey wheel from Seasons 4 and 5, are nothing short of ludicrous, whilst the revelation that the Island harbours a cave containing magical glowy light at its heart which has to be protected or, erm, it turns people into evil black smoke is so obtuse and meaningless it might as well have been left unrevealed. The episode is wracked by hideously bad writing (the actors look distinctly uncomfortable at various points for saying it) and ends up being badly-placed in the season. Overall, very disappointing. What They Died For is a triumphant return to form, with shocks, impressive plot twists and a genuine sense of storylines coming together satisfyingly. The Sideverse has become increasingly interesting and important over the last few episodes and this installment makes it as compelling and interesting as the main plot on the Island for the first time this season. In short, this is all great set-up for the finale. 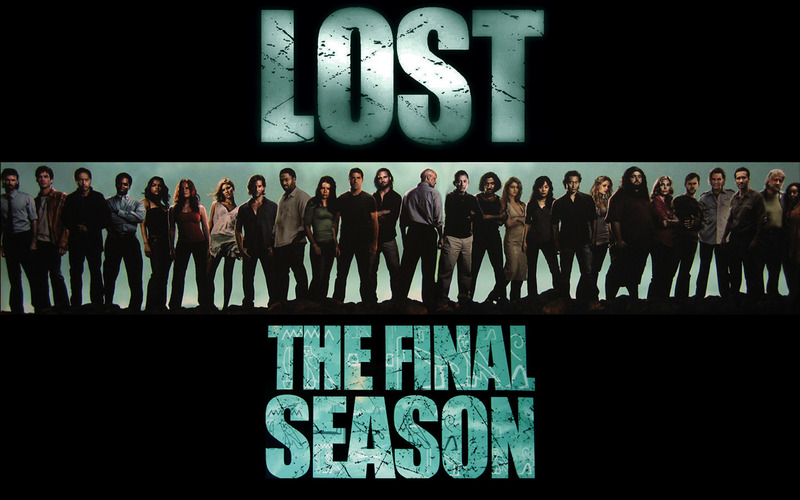 The End is the final episode of Lost, and at almost 2 hours is its longest. It's something of a schizophrenic, flabby episode which does its best with the hand dealt it by the writers and producers, but in the end cannot help be disappointing. On the Island, things are more interesting. The character stories all reach fairly logical resolutions and achieve satisfying destinies. The biggest disappointment here is that glowy cave thingy at the heart of the Island is now revealed to contain the Giant Plughole of Destiny, and either destroying or saving the Island and the world depends on whether the Stone Plug of Electromagnetic Power is plugged in or not. Maximum props to the actors struggling with the giant polystyrene rock and trying to sell it as the culmination of six years of dramatic storytelling but this was clearly not a good idea from the start. If you can ignore the Plug Ex Machina, the Island story unfolds and ends reasonably well. Now, on the Sideverse front it is blatantly clear that the producers changed their mind over what the Sideverse was going to be at some point this season. The information and data previously given about the Sideverse doesn't track with the revelation of its true nature in this episode. As that resolution comes way out of left field and was not sufficiently foreshadowed ahead of time, the Sideverse storyline's ending is extremely underwhelming, not to mention really unconvincing. From the perspective of British viewers, the resolution also suffers from comparison to Ashes to Ashes' finale (which aired literally two days earlier than Lost's), which played around with some of the same ideas but in a far more convincing, better foreshadowed and considerably more satisfying manner. Whilst Lost has never shied away from being sentimental before, it's never really gone into full-on mawkish mode, which is what happens in the culmination of the badly-judged Sideverse story. Luckily, the Sideverse ends up being completely irrelevant to the story on the Island. If you can ignore the Sideverse story, than Lost ends on a somewhat satisfying note, at least as far as the character arcs are concerned. Some backstory and mystery elements are left unexplained (most notably where the hell the Giant Plughole of Destiny came from), but not cripplingly so, and certainly enough is left for fans to debate for years to come. Lost falters at its last hurdle, and it is hard after the finale not to feel that the entire Sideverse storyline dominating Season 6 was a waste of time, but at the same time it doesn't destroy the integrity of the whole show going back years (as BSG's does, to some extent). Whilst the Man in Black and Jacob were elements added to the mythology of the show way too late in the day to be either convincing or compelling, their story is nevertheless resolved reasonably well, giving Lost at least some sense of achievement in its finale, even if the show has fallen short of its full potential. Well I guess there had to come a point after years of reading this blog, where I disagreed with something you said. The thing is, (quite hyprocritically) I can't honestly say that I disagee with anything you have said in your review. I just really enjoyed the finale. I wasn't expecting much in terms of answers, as I couldnt see how they could answer everything. I called the sideverse before the reveal and the only negative thing I can say about it, is that I wish it had been revealed sooner. It gave so much more meaning to events on the island, where as throughout the final series I was always of the opinon, it did not matter what happened on the island as we still had the alternate reality. Apart from that I loved the final episode. I also liked the origin story of Jacob and MiB. This might have something to do with the fact that I was aware of how much it was getting slated in the U.S. and so had low expectations. Do I wish the light was something more? Yes, to a degree. But at the end of the day what ever answer they supplied would not have been satisfactory and so I just enjoyed the journey. Just out of interest - who was the pointless death? Llana? P.S. I have been looking out for your on review on this for a long time. I have really enjoyed your Lost reviews as the series has gone on. Thank you. I think he meant Jin. Some fans are of the opinion that he could have escaped and should have to be with his daughter. I'm of the opinion that if he'd done that he would have hated himself for the rest of his life and thus hated his daughter, probably would have turned to alcohol to cope with his depression and become a child abuser. So it's better that he did the romantic and heroic thing and not leave Sun alone in the cold dark to die a painful death. Oh I see, I wouldn't say Jin's death was contrived though. I thought his death made sense in that he would never leave Sun again. I have to disagree about the writer's changing the sideverse halfway through. Just look at the differences in the characters in the sideverse to how they were in real life. Those changes came from themselves making that world and molding it to what they wanted it to be. Sawyer no longer being a criminal, Jack having a son (I can't believe how many people wonder why David's there, they clearly didn't pay any attention to the characters in LOST), Hurley is no longer unlucky, Ben's dad loves him, Miles gets to be with his dad, etc. The list goes on. The sideverse from the beginning was exactly what it ended as. It fooled me too, the way they brought it in after the bomb going off, but go back and rewatch it and think about the characters and how they make it their own world. Of all the complaints I've heard about them not answering questions I'd never heard someone say they actually thought the sideverse changed halfway through. By the way, it did effect the island storyline a little in that it gave Desmond the false hope of what would happen when he unplugged the island. As for me and the mysteries, it doesn't bother me, but I think that's because I don't mind the idea of there being a mysterious island out there somewhere, I don't have to know all the details. Though, when Jacob talked about the wine is the glass and the cork as the island, maybe that was the island explanation that no one realized it was. I don't need to know exactly why Tom had to wear a fake beard, I can figure that out on my own. The mysteries of LOST and Dominic Monaghan originally roped me into LOST and I always enjoyed big mystery reveals, but as the show went on I came to like the characters so much more than anything else going on that all I cared about was a good ending for the characters and mysteries, answered or not, were second to that. For me, because of what the sideverse really is, it actually makes me like the sideverse more. I was worried the sideverse would get less interesting for some of the early episodes on rewatches, but now I'm more interested than ever to view them again. To me, Across the Sea was both a blessing and a curse. It crushed my hopes for mythology so hard that I had no expectations for the finale. If it weren't for Across the Sea, I would have been very disappointed with The End. But thanks to AtS, I could ignore the unanswered questions and enjoy The End to its fullest. I wasn't terribly disappointed with the finale - as one of the previous posters said, it had become clear that there was not going to be some massive explanation to clear up all the mysteries and instead the writers decided to have a kind of celebration of all the characters who we've enjoyed watching all these years finally happy and at peace. I also found that the ending fit the tone of the series as well. As opposed to BSG which seemed to have gone off the rails with angel cylon and resurrected starbuck dumbness (which never quiet seemed to fit with the gritty, realistic sf politics on board the ship storylines). I understand the criticisms and find many of them valid. But, I guess, I was happy with what I got. Watched the last 6 episodes in a row just a couple days ago. Have to say I enjoyed the emotional impact but agree that the Great Plug of Doom (or whatever) was plainly ridiculous. I enjoyed the idea of the sideverse being a creation amongst them all but at the same time I was really gunning for everyone dying on the island and then they all wake up on the plane as it is landing in LA BUT they all still had the memories from the island (and even the sideverse if they wanted). New director for THE HOBBIT?